In this pureMix.net exclusive, CLA comes off of his SSL 4K and works in the box. Those who study his work, know that Chris Lord-Alge is a champion of the famous SSL 4K console. He has mixed thousands of songs in the analog domain and amassed a literal wall of Grammys in his studio, Mix LA. See a preview of his approach in this free video extract. Can you really hear what your compressor is doing? In this PureMix exclusive, Fab Dupont returns to the How To Listen Series. This time, It’s the Compression Edition. Rather than reaching for an EQ when trying to problem solve in a mix, try a multi-band compressor instead. It gives you all the frequency-carving tools you're used in an EQ plus the ability to add punch and definition to the envelope of your track. 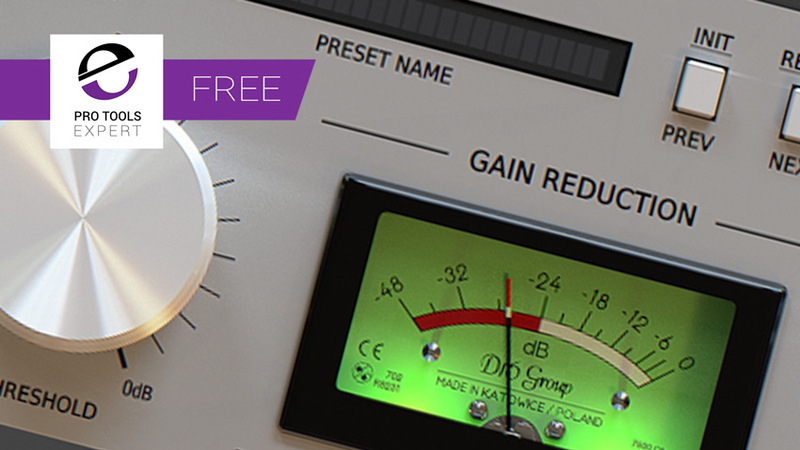 In this week's Friday Free Plug-in, we are featuring the Klanghelm DC1A Compressor. A simple and surprisingly characterful compressor which offers a few additional features, such as negative ratio and stereo unlink. In this final part of a three-part series of free video tutoirals for Pro Tools Expert, Technical Editor James Ivey continues the explanation of his mix process of the song "Hold On" by UK based band Voltaire. When Steven Slate first heard the Audified u73b compressor plug-in, he loved it but it wasn't one of his! So he did a deal with Audified and now the U73b it is now included in the Slate Digital Everything Bundle for $14.99 per month. 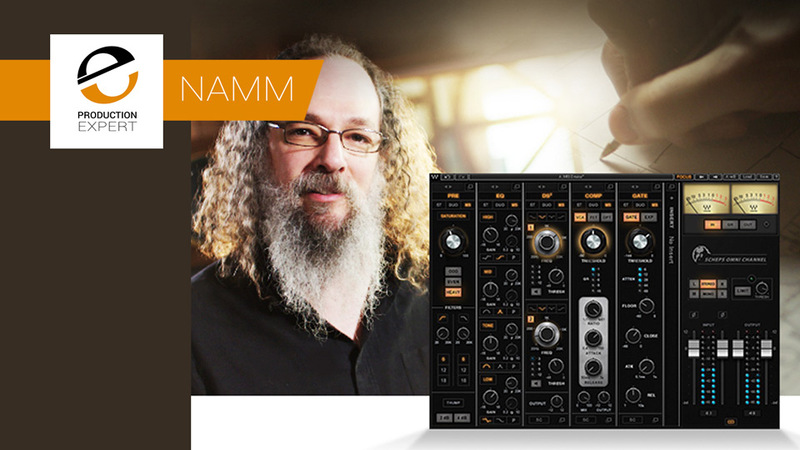 Designed with Grammy-winning mixer Andrew Scheps (Adele, Jay Z, Metallica), Waves tell us that the Scheps Omni Channel delivers Andrew’s time-tested combinations of compression, EQ, saturation colours and more. In the Pro Tools Expert 10th Anniversary Competition, we offered the chance of winning the Audified Unique Bundle Worth $715, as one of 18 great prizes on offer worth over $28,000 in total. We can announce that Olivier Fournier is the lucky winner. In this free video tutorial for Production Expert, Pro Tools Expert Technical Editor James Ivey shows some of his ideas for using multiband compression using the stunning sounding Tube-Tech Stereo Multiband Compressor SMC 2BM. In this free video tutorial for Production Expert, Technical Editor James Ivey shows first shows you around the Neve 33609 Limiter and Compressor and then shows you some of the dynamics processing this 2U hardware unit can do. In the Pro Tools Expert 2017 Christmas Competition, we offered the chance of winning an Audified Unique Bundle Worth $715, as one of 31 great prizes on offer worth over $16,000 in total. We can announce that Csongor Mrena is the lucky winner. FabFilter Pro-L 2 is a fully featured true-peak mixing and mastering limiter plug-in. The previous version, FabFilter Pro-L, was voted most popular limiter plug-in out of 15+ third party limiters by the Pro Tools Expert Community. How could FabFilter possibly improve on perfection? Well, it appears FabFilter have done so with the addition of several new features along with some major improvements. Mix bus plug-ins are great for "broad brush" processing, perfect for "glueing" mixes together and shaping the tone of tracks quickly. 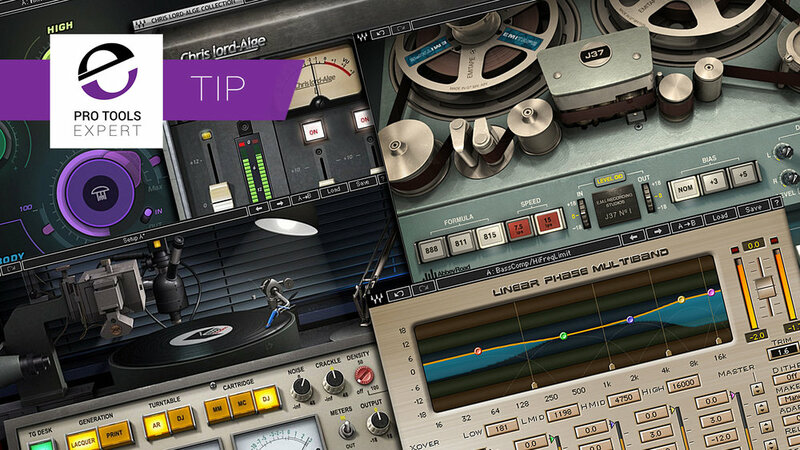 Commonly used on 2-bus or master tracks, mix bus plug-ins are often the key to getting mixes and masters into shape quickly and tastefully. Free Tutorial - 5 Things Which Make Unfiltered Audio's Zip Not "Just Another Compressor"
The recent release by Plugin Alliance of Zip by Unfiltered Audio caught my attention because of the flexibility and unusual features I'd noticed when looking at the Unfiltered Audio G8 plug-in. In this video I look at five things which stand out to me as making Zip interesting to someone, like most of us, who already has more than enough compressor plug-ins.